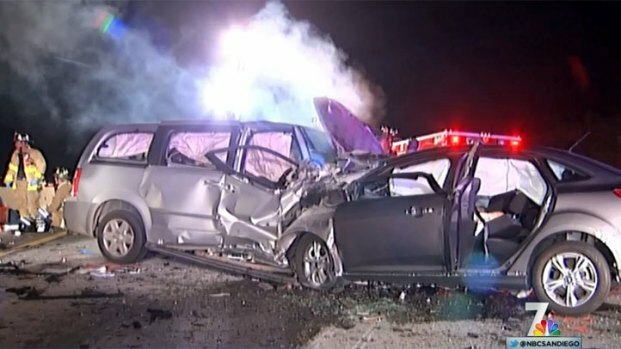 A mother and her three children were hurt Sunday night when a wrong-way driver struck their car. The family in the minivan was that of Cathedral Catholic High School head basketball coach Will Cunningham, announced the school on Twitter. Cunningham's wife Alisa, a softball pitching coach, and three children ages 17, 12 and 10 were treated by firefighters and quickly transported to area hospitals. Victims were transported to Sharp Memorial, UCSD Trauma Center and Rady's Children, according to San Diego Fire Department. A school statement said one of the Cunningham children is in the ICU. A fiery crash shuts down part of State Route 52. 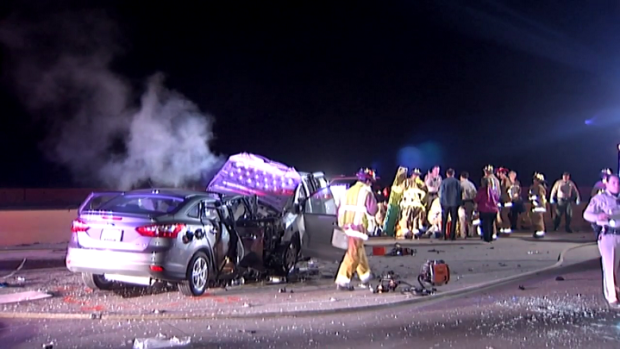 One person is dead and four others are in critical condition. NBC 7's Chris Chan reports.